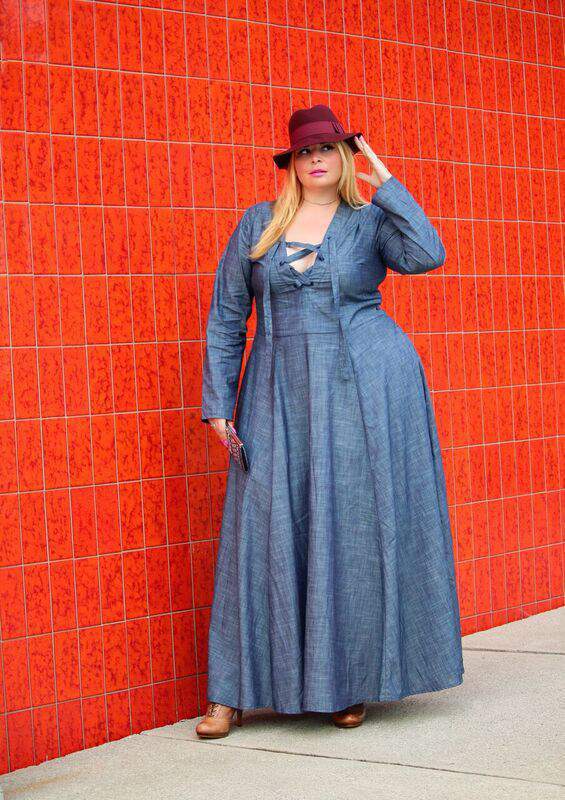 Today, we feature Canadian plus size model and blogger, Caterina of CaterinaModa in the latest install of Fashion Blogger Friday! Take a peek and her style inspirations, her confidence, and more! Hope you enjoyed meeting up with LuAnne of Weesha’s World? 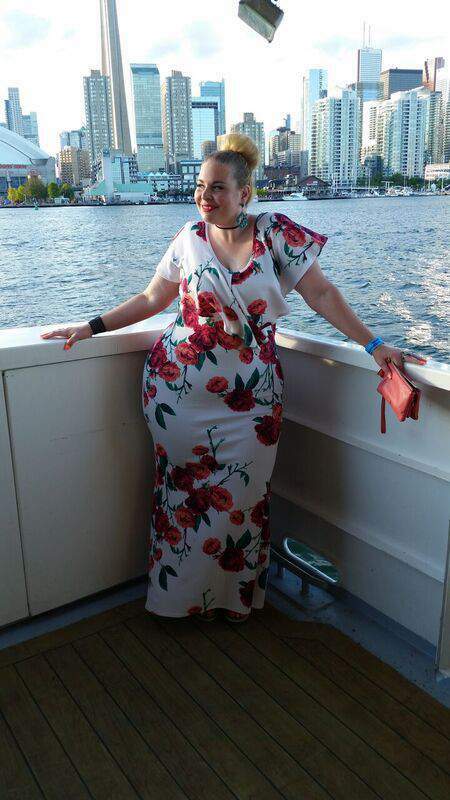 This week’s Fashion Blogger Spotlight takes us from Dubai to Toronto to introduce you to plus size model and fashion blogger Caterina of CaterinaModa.com! Caterina loves showing off her curves and loves fashion, so blogging has become a natural extension of her modeling career. With an impressive Instagram following and a developing web site, Caterina is a plus size blogger YOU NEED TO KNOW!! Actually, I’m more of an ambassador for curves. I model, I love fashion, and I love my curves! I regularly showcase various plus size brands and indie designers on my social media channels, and I am a featured model for SexyPlus Clothing boutique. I do feature my looks on my blog regularly as a hobby, but my channel of choice is Instagram, where I have the most interaction and engagement from my fans and followers. My waist but only because it is complemented by my voluptuous hips! I play it up by wearing shapely, form fitted dresses, and I love my high waisted jeans!! Actually, I don’t face any challenges being a plus size woman – I embrace all of me, and I live a healthy lifestyle. That’s all that matters. I embrace the curviness of my body, and my shape has allowed me to connect with some amazing women in the industry where I can collaborate and model, which I so enjoy. Being a plus size model [and blogger] introduces me to new and different styles that I might otherwise not have ventured into. As a lover of fashion, this is truly the best part. From a boutique perspective, I love the variety offered by SexyPlus Clothing, and it shows in the pictures we produce. I wear their stuff with such confidence. From a designer perspective, I admire the cutting-edge designs Pheline Couture produces, and they’re Canadian too! I have always applauded Monif C as one of the most respected inaugural plus size fashion designers on the scene because of her ability to combine trends with sophistication. I usually gravitate towards form fitting clothing with clean lines that show off my figure while keeping it elegant. The Curvy Fashionista of course! Marie is one of the trailblazers who has literally changed the way the world sees plus size fashion. GabiFresh because she is fierce and unapologetic, but still so feminine. I relate to her body type as well. And also Lisa of MustangSallyTwo because she has truly commanded her lane in the extended size arena in such a beautiful and confident way. Thanks to bloggers, brands and manufacturers are finally paying attention and changing their business model which is placing curves in a more positive light in the media and mainstream fashion. That it is still hard to find. From my experience, there are so many choices now. Yay! As a woman who is a size 14/16 on top and 18/20 on the bottom, I look forward to working with more brands this year to showcase that there are so many fashion options for my body type, and to encourage other women to step outside of their comfort zone. It means finally we can wear what we want, with pride and with an inspiring sense of freedom. Be sure to check out Caterina’s Blog at caterinamoda.com! That long blue dress is amazing!! !